The long gray years are stifling his marrow, devouring him piecemeal, chilling his blood. 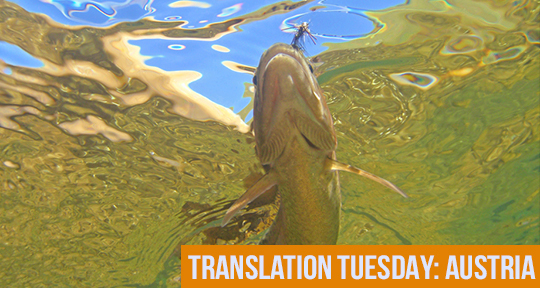 From Yiddish writer and political activist Zigmunt Leyb, this week’s Translation Tuesday centers on Shchepliak, an old man living a bleak and lonely life in Vienna. Written nearly a century ago, Leyb’s writing nonetheless feels modern in its spareness and simplicity. Shchepliak lives in a little room that is long and narrow. Its high, empty walls are gray, the uppermost edges a mix of dark patches of shadow and broad swaths of cobwebs. Shchepliak roams about his room, measuring. He moves his rags from one spot to another, mends a hole, sews on a patch. And when he is beset by an attack of gray yawning, which makes his small eyes fill with salty tears, he sets down the bundles, rubs his eyes, and looks around the room. He then walks slowly over to one patch of empty wall and directs his eyes toward a yellowed stain. He raises his head, his eyes boring into the yellow stain as he thinks and thinks—until the loud chime of a clock somewhere frightens him, interrupting the dull muddle of his changeless thoughts. Shchepliak perks up his ears, wrinkles his narrow brow, opens his mouth like a pitiful child, and listens to the chime of the clock. You won't be lacking reading material in the new year with these latest translations, reviewed by Asymptote team members. Looking for new books to read this year? 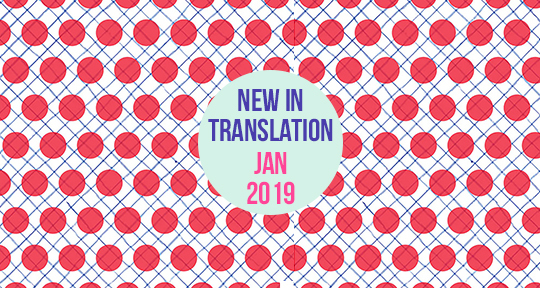 Look no further with this edition of What’s New in Translation, featuring new releases translated from Kurdish, Dutch, and Spanish. 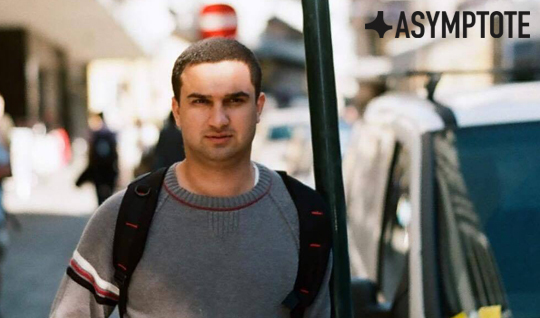 Read on to find out more about Abdulla Pashew’s poems written in exile, Tommy Wieringa’s novel about cross-cultural identities, as well as Agustín Martínez cinematic thriller. 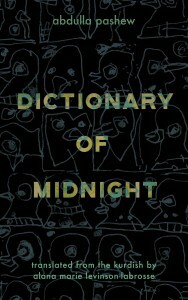 Dictionary of Midnight is a collection of several decades of Abdulla Pashew’s poetry as he recounts the history of Kurdistan and its struggle for independence. Translated from the Kurdish by Alana Marie Levinson-LaBrosse, the work includes a map of contemporary Iraq and a timeline of Kurdish history for those unfamiliar with the plight of the Kurds, something Pashew, one of the most influential Kurdish poets alive today, has taken upon himself to convey and to honor. A strikingly crafted window into how our lives are a mosaic of the things that happened before us. Translated from the Polish by Antonia Lloyd-Jones. London, England: MacLehose Press, 2017. 240 pages. £12.99. Toward the middle of The House with the Stained Glass Window, the Ukrainian-Polish writer Żanna Słoniowska’s debut novel, the unnamed narrator tells us that her great-grandmother occasionally falls into fits of hysterical sobbing, which her grandmother explains as having to do with “the past.” “I imagined ‘the past’ as an uncontrolled intermittent blubbering,” the narrator says. This definition is not a far cry from the idea of the past portrayed in The House with the Stained Glass Window: not blubbering, but certainly not controlled by human forces, intermittently entering the present day until it infiltrates it, saturates it, and finally becomes indistinguishable from it. 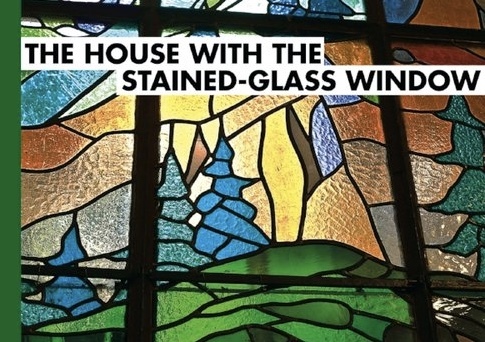 The novel centers around four generations of women who live under the same roof in Lviv, in a house noted for its enormous stained glass window. The window sets the present-day plot in motion: it is because of the window that the novel’s narrator, who we only know as Marianna’s daughter, meets Mykola, her mother’s former lover, and begins an affair with him herself. A relationship like that would provide enough internal and external conflict to fill a novel to its brim, but Słoniowska does not dedicate much page space to it. Instead, if anything, the affair serves as a springboard to the past, to exploring the irresistible pull of it.